Roaring 40s is the second label (of sorts) for Riversdale Estate. Making good wines under this label too. 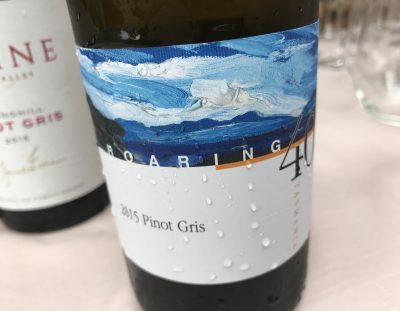 This Gris has 15g/l residual sugar and it works a treat – a great balance here of light pear fruit and just a little softening sweetness. There’s even a suggestion of red apples, just to highlight the varietal intensity. Delicate, bright, and easy Gris in a ‘drinking’ rather than ‘contemplating’ style. Best drinking: 2017-2018. 17.5/20, 91/100. $24.50. Haha. Are they following you around the web mate? Hello ladies!